His name is Jesse Stone. He's left the LAPD in disgrace and found himself the new chief of police in Paradise, Massachusetts--a town that's a lot less idyllic than it sounds. This exciting departure for "the reigning champion of the American tough-guy detective novel" (Entertainment Weekly) has landed him on the New York Times bestseller list once again...and thrilled readers and critics alike. 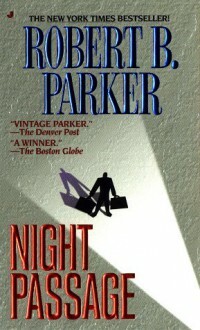 Parker is always a quick easy read/listen--unless you get the ones narrated by Burt Reynolds.